Android Image Switcher is an element of transition widget which helps you to add transitions on the images. So, in this tutorial, you will learn to display image with animation in image switcher. When you click the button, image will be changed (new image appear on the screen). To use ImageSwitcher, first you need to add image switcher XML component. 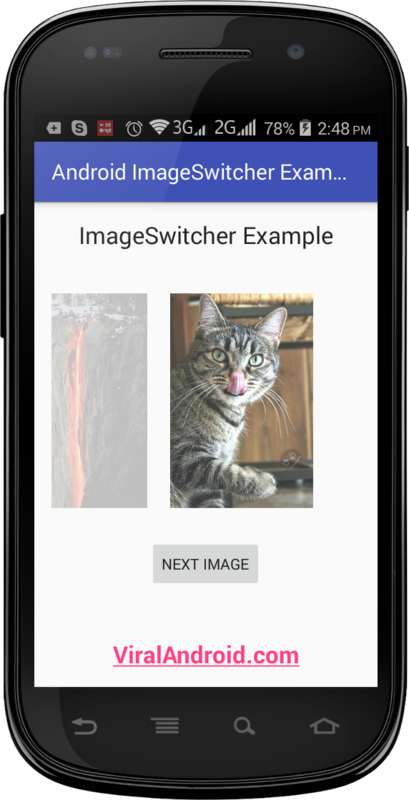 Following example shows how to implement image switcher in android and display different images when Next Image button is clicked. Here, I have used slide in left and slide out right animation. That’s all. 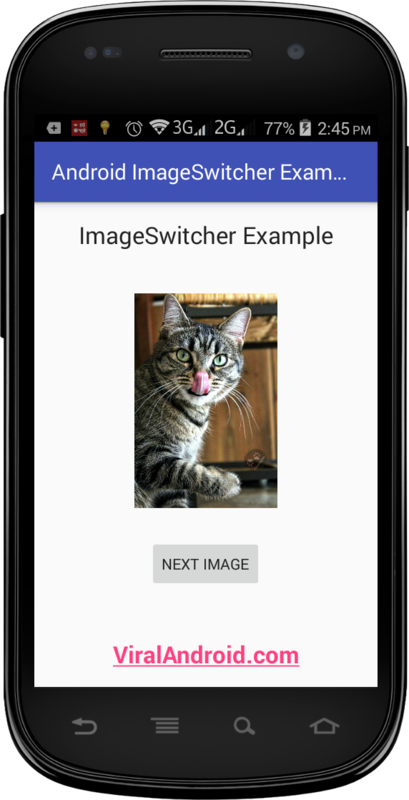 Now, run your image switcher example android application and click the Next Image button to change the image in the screen.